Well, it’s the final round. It’s been a heck of a battle getting to this point, but we’re finally here. The Grinch vs Die Hard. Which shall reign as the ultimate Christmas classic? When I added Die Hard I fully expected to see it in the final round. 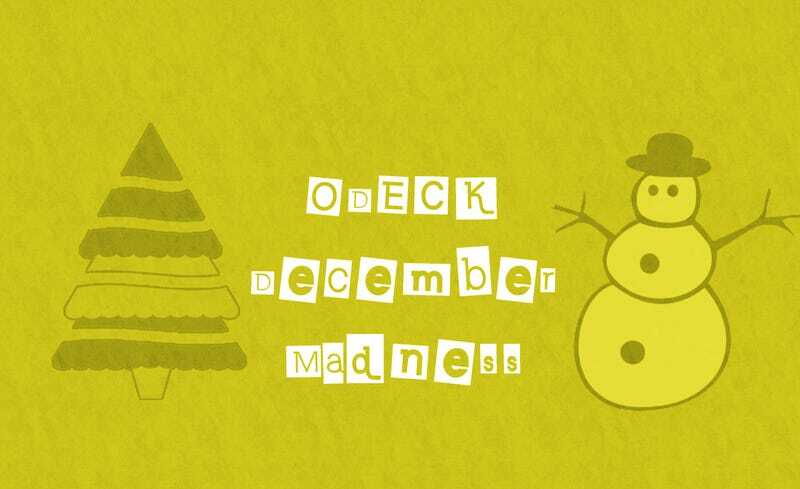 In fact, I created this December Madness thing with that in mind. And while I didn’t expect to see the Grinch, it’s a deserving choice for the final round. Some of these battles were amazingly close. The Grinch surpassed the Muppets by a single vote to make it to the finals. We even had a tie in the first round of voting that had to be decided in a run-off. But that’s the past. It’s now time to decide the champion. On one side we have one of the most iconic television moments. A classic tale in learning the true meaning of Christmas. Of overcoming hatred and commercialism and accepting love and family. And facing against it we have the best non-traditional Christmas movie of all time. A classic lone-wolf tale filled with explosions, accents, and witty one-liners. A paragon of 80s actions movies. I hope everyone enjoyed taking part in this. Make sure to vote and check back tomorrow to see which of our contenders takes home the crown. Thanks for participating!